The first step to a proper duct cleaning is a thorough inspection of all of the air ducts. A legitimate company will then also give you a written estimate of the cleaning services to be provided. Do not let the cleaners take advantage of you by giving you the bill afterwards with no warning. The pre-inspection will also allow the cleaners to prepare any equipment needed for the cleaning to take place. In the case that the cleaner finds mold or claims to have found mold, consult a mold removal specialist and always ask for proof. Many cleaners are not certified to do mold removal and may choose to cut corners or fake an infestation to overcharge. We here at T&T can clean ducts and are certified for remediating mold, and we will also get the mold tested by a 3rd party to ensure that you the customer are not getting stiffed. The best air duct cleaners will use high powered truck mounted tools in order to properly clean, scrub and polish your vents. Do not hire anyone who claims to be a professional cleaner if they use a shop-vac and call it a day. The vents need to be properly scrubbed and vacuumed in order to get any debris or other contaminants that are caked to the walls of the vents. With the high powered tools you can rest assured that scrubbing the vent won’t kick up allergens and dust into the air of your home since the high powered vacuum will pick everything up as the cleaner is scrubbing and polishing. No cleaning job is complete if the home or office is left messier than how it started out. A proper cleaning service will ensure that anything that did manage to escape the vents during the cleaning will get cleaned up. They will also make sure to clean all of the vent covers, replace them and clean any other mess that may have arisen during the process. 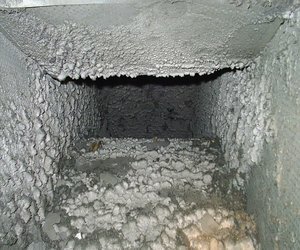 If you need an air duct cleaning in Tucson, then get the job done right and hire the certified professionals at T&T Cleaning and Restoration. W are a local family owned and certified cleaning and restoration company that has ample experience in cleaning carpets, upholstery, dryer vents, air ducts, tile and many other things. If they do find mold in your home you can rest assured that we can handle that too. If you would like to schedule a cleaning or request more information, then simply fill out the contact form below or call (520)818-2591 any time.